Or order by phone at (866) 4FOOSBALL. 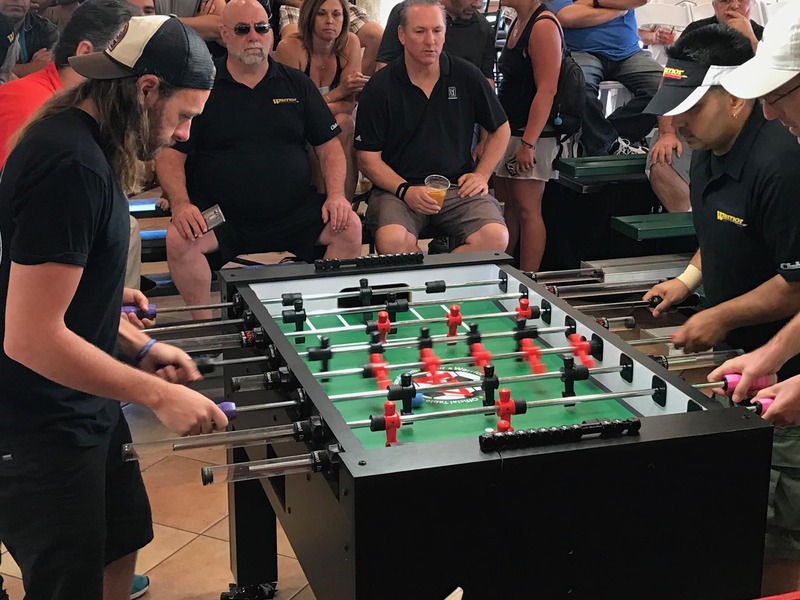 Whether you’re a world-class professional foosball player or you’re just getting into the game with your friends, we think that all players deserve the best quality in their experience. And that’s why Warrior Table Soccer is the only manufacturer to offer you a quality professional foosball table for sale at an average recreational price. Firstly, our table is the easiest to assemble with one tool. Secondly, our rod guards make it the safest table on the market. In addition, we will have your table delivered to your front doorstep. 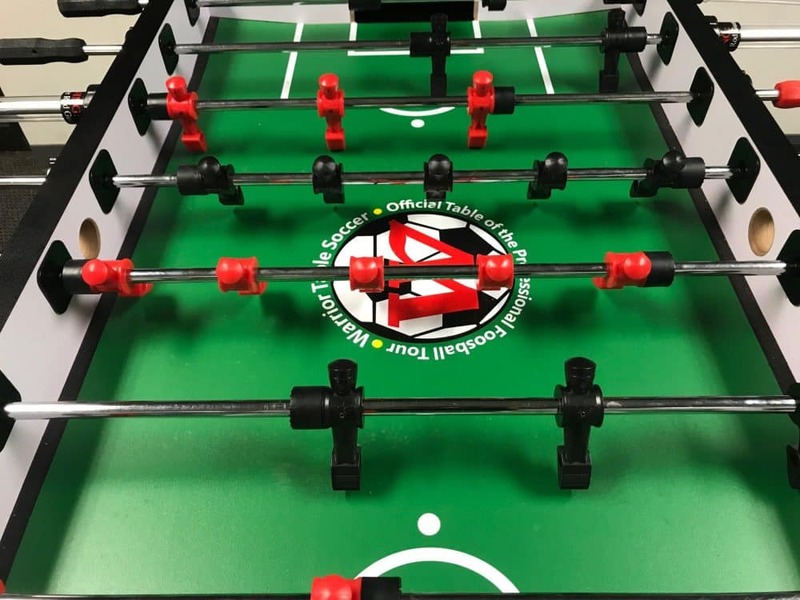 Get your very own tournament quality soccer foosball table from Warrior Table Soccer MSRP $799 now only $ 599, plus $129 S&H within the Contiguous United States. We’re confident that our foosball tables offer the best value on the market. 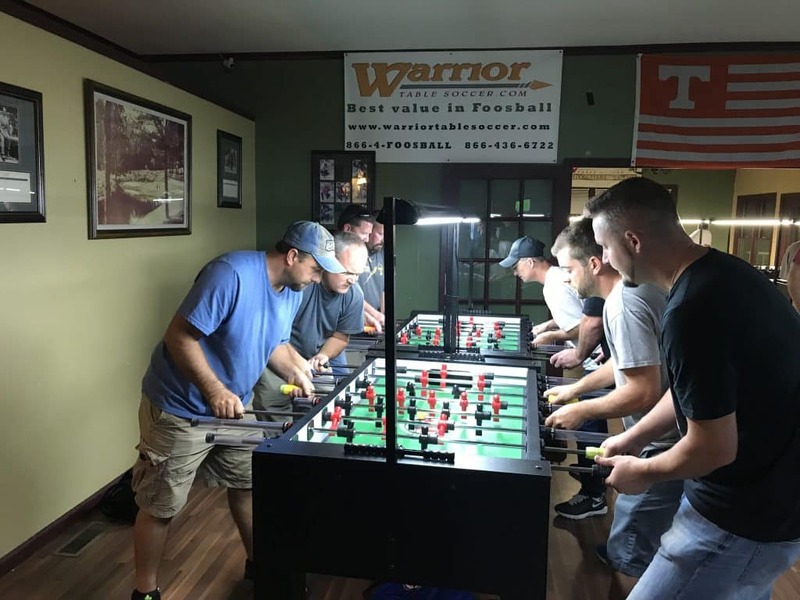 In conclusion, from your company breakroom to your dive bar to at-home use, make your foosball experience a Warrior Table Soccer experience. And includes a 1 Year Limited Warranty on replacement of all parts (excluding cabinet, playfield, shipping, and handling). Fast and easy to assemble (approximately 25 minutes). Doorstep delivery to your home or office. Includes a set of Rod Guards. Above all, eliminates potentially severe injuries from occurring to players of all ages, particularly children. Adjustable levelers with durable, rubberized feet that prevents the table from sliding during play. Plus our New swivel designs make leveling on any surface a breeze. New Split bearing creates faster and more powerful shots. Counter-balanced men necessary for Pro quality play. Assembled men on rods. As a result, No more having to deal with the painstaking process of putting on all of the foosball men when assembling the table. The only table recognized by ITSF and USTSF organizations. All soccer tables come with 1 yr. limited manufacturer’s warranty. 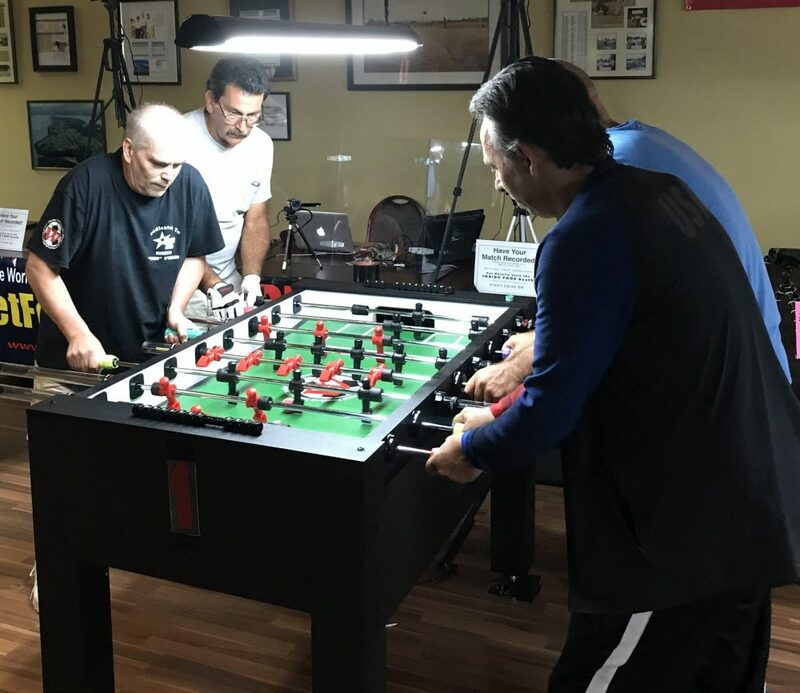 After years of research and development, the innovative Warrior Professional Foosball Table is quickly becoming the #1 selling foosball table in the world. 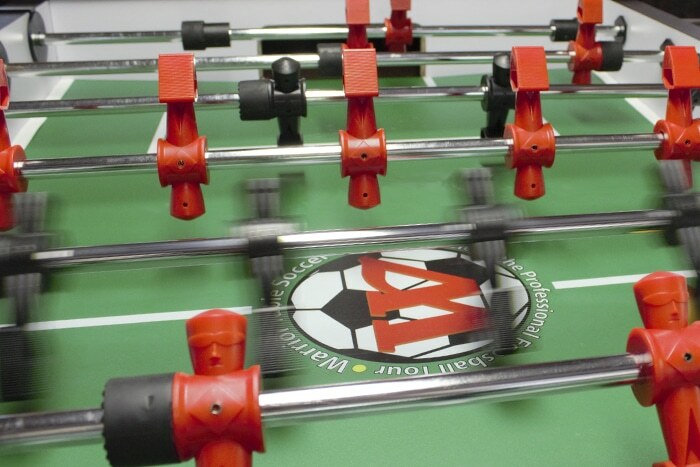 The table was designed by Warrior Table Soccer President and thirty-year Foosball veteran Brendan Flaherty. Above all, his aim is to revolutionize the way we play Foosball forever. 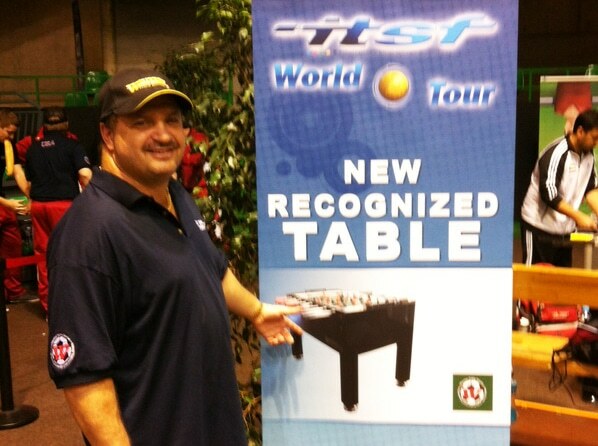 Warrior it the official soccer table of the Professional Foosball Tour. And as a result is a top caliber, a durable, player-friendly table that is made for the professional player yet affordable to the general public. Because of the table safety, it is perfect for youth programs. Foosball players that have tried the table are amazed at what they can do and the ball control they obtain. Therefore the play is far advanced to other tables. As a result, it’s simply the best table ever made. Now you can truly play your best game. The Warrior table has achieved a break-through in Foosball technology. Furthermore, the playing characteristic options are absolutely unbelievable. It’s spectacular! Therefore, Warrior is set to be the most phenomenal table of the century. Come on, join us and give the new table your best shot! The Warrior Professional Foosball Table has been awarded the BEST VALUE FOOSBALL TABLE ranking by FringePursuits.com The award and review of can be found on their foosball table comparison and reviews page.